Another reproduction of one of Ducati’s best-loved motorcycles. Launched in 2010, the Multistrada 1200 turned the Ducati dream of 4-bikes-in-1 into reality and ushered in a whole new category of motorcycle that would previously have been unimaginable. Four dynamic riding modes - sport, touring, city and enduro - separated by the mere flick of switch, providing perfect set-ups for any road or riding style. 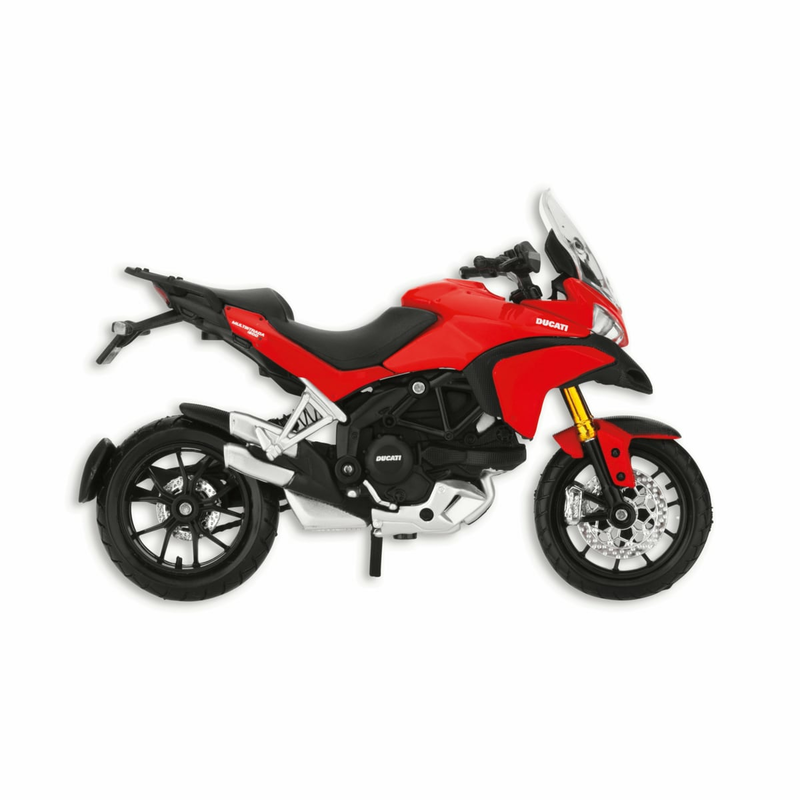 Unbeatably user-friendly, the bike features a Testastretta 11° power unit and cutting-edge Ducati technology, giving maximum riding comfort and safety. This delightful plastic model, with rubber tyres, faithfully reproduces all the details of the original.